Americas Cardroom announced that their First Poker Tournament Series of 2016 will be held from January 20th thru January 24th. 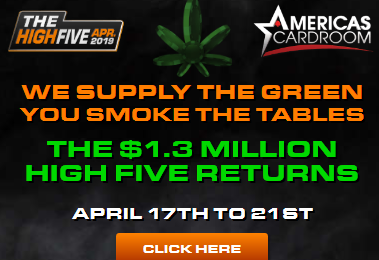 The High Five Series will have $840,000 in guarantees, have 25 Total Events with 5 tournaments scheduled daily. Buy-in’s will start as low as $2 and the formats will include all your favorite games including NLHE, PLO, PLO8, re-buys, deep stacks, 6 max, 4 max and bounties. 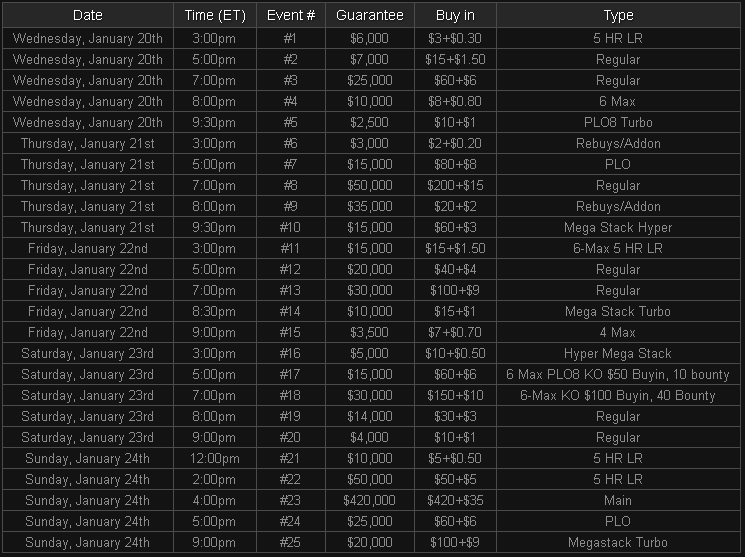 The Main Event, which will be held on Sunday January 24th at 4PM ET, is a $420K guarantee with a $455 buy-in. High Five Satellites are running now for players to lock up their seats in all the premier events.